With the popularity of USB3.0, more and more motherboards now have a USB3.0. 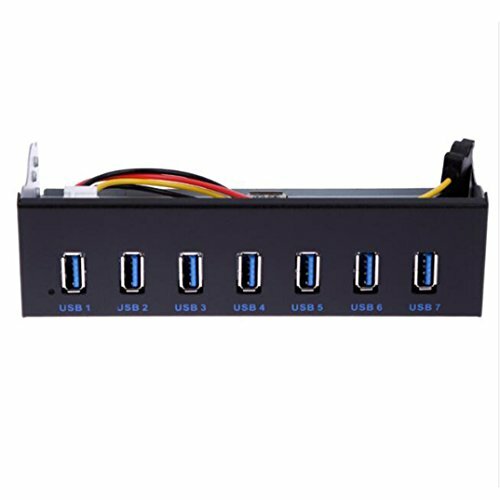 19pin socket, the chassis does not have front USB3.0 mouth, that you can use this panel, as long as a 19PIN socket through the panel leads to the front 7 ports USB3.0 interface, installed in the idle optical drive location. USB3.0 increased 4PIN to enhance the power take, can provide enough current for seven high-speed USB interface, to solve the problem of insufficient power supply front of the chassis. If you have any questions about this product by xinyuansu, contact us by completing and submitting the form below. If you are looking for a specif part number, please include it with your message.